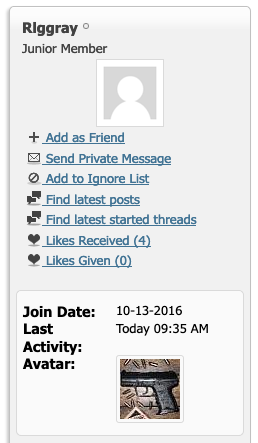 Join + Mass Posts = Sell your crap? 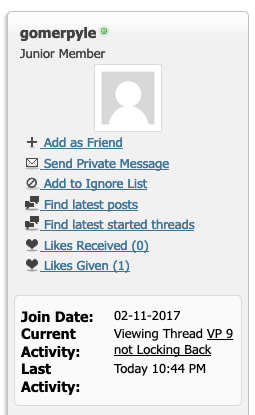 Thread: Join + Mass Posts = Sell your crap? Last edited by TooSixy; 03-16-2019 at 04:30 AM. Knocked back a good bit. Plenty of HK's and clones. Blatant attempt to sell when the thread starter did not ask for. Last edited by TooSixy; 03-21-2019 at 05:02 AM. And here I just thought Texas was the most welcoming state in the union! I'd ban this clown . I thought that was you--- why else would you diminish my post count by 2K!!! Knocked back a bunch. We'll see how he responds.